EMTs are trained to provide patient care to individuals in emergency situations until they can be transported to the hospital for more specialized treatment. They continue to provide care to the patient in the Ambulance or emergency transportation vehicle until they reach the hospital. They are trained to use various life saving techniques and play an important role in emergency medicine. The exact EMT job description will depend on the state in which they are employed and the level of their EMT certification. One of the primary duties of an EMT is to provide Basic Life Support when needed. EMT-Paramedics take on even more responsibilities as they are trained to provide a range of emergency services, much like those carried out in an emergency room. Of course, there are limits to what an EMT and Paramedic can do since they have much less education than a physician but they will play a vital role in the community. EMT’s and Paramedics – Why are they Needed? EMTs and Paramedics are intended to carry out care to individuals at accident or emergency scenes until they can be moved to a hospital. In some cases, you will need to stabilize a patient on site before you can even begin to move them to a hospital. The purpose is to be able to give potentially life saving services in the field. Because sadly, without medicare care on site, some people would never make it to the hospital. Others would have irreversible injuries. An EMT does not take the place of a doctor. But they are trained to carry out some procedures that would also be performed by doctors. AN EMT and Paramedics scope of practice is limited. However, they are still given enough responsibility to be able to take action that can really make a difference in the survival and recovery rates for patients. They are trained to provide some pretty extensive pre-hospital care. In some cases, EMTs will also help to continue to provide care to a patient in the hospital-such as if the doctors need help getting someone more stable or if the patient needs care while waiting to be sent to another medical care facility. EMT-Basic: An EMT basic has less responsibilities than other EMTs because their training is less. They work under the direction of EMT-Intermediates or paramedics. EMT-Basics may be the individuals who drive the ambulance. They will assist with various other EMT duties on site. EMT Basics can carry out various other duties. You need to check your location to know exactly what you can and cannot do. Here are some common duties of an EMT-B: The use of Automated External Defibrillators and CPR, splinting broken bones, placing bandages on wounds and cuts and helping to stop bleeding from injuries. They may also help by giving oral glucose or supplying oxygen. They can even assist with the use of activated charcoal. EMT basics may help with ventilation of patients when necessary. EMT-Basics might be called to assist with childbirth in emergency situations delivery cannot wait for arrival at the hospital. A Basic EMT is often one of the first people to scan a call scene. They may need to radio in for additional help. They will assist emergency responders in seeing how many people need care and assessing any patients or victims. 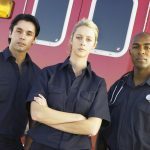 A basic EMT might also help with traffic control by setting up road flares and cones or even helping to direct people around the accident site. EMT-Intermediate: As an EMT intermediate you can perform any tasks that can be done by an EMT basic. There will be additionally duties they carry out. Your state will guide exactly what duties you can carry out. In some locations they will be able to use advanced airway techniques for people with airway problems. They may also be able to give IV treatments. They can sometimes use EKGs and other cardiac monitoring machines as well. Paramedics: Paramedics will have the most responsibility of all EMTS.. A paramedic can usually administer more medicines than other EMTs. They can complete more advanced levels of care. A couple examples including using nasogastric intubation and even carrying out blood transfusions. They may be trained to apply external pace makers and perform other respiratory and cardiac procedures. Intermediate and Paramedic EMTs might be able to administer certain medications. The exact medicines will depend on your training and the scope of practice in your area of practice. Some EMT-Iss and Most EMT’Ps can give some medicine via IV. They may be able to give blood products, saline (fluids) and bicarbonate to name a few. Medicines may be used to help individuals who are having a heart problem, experiencing shock, have had significant blood loss or have overdosed. Other medicines you might be able to administer include: nitroglycerin and glucose. Most EMTs can also give injections to treat severe allergic reactions. You may even be licensed to administer certain pain medicines in the field (Paramedics). Your training program should help you learn exactly which medicines you can give with your licensing. Some states offer advanced training for EMTs (such as Pennsylvania). For example, you might be trained to provide more advanced neonatal care if you need to deliver a baby with complications before arriving at the hospital. You may be trained to provide more advanced cardiac or respiratory care including things like tracheal airways and chest tubes. Some paramedics will have advanced pediatric life support training. Others may be trained to provide care to patients being transported via medical air flight vehicles. If you have any of this kind of specialized training, your duties will be much advanced from that of other EMTS. You will be allowed to perform more specialized procedures. As such, you will be taking on even more responsibility in the care of your patients. 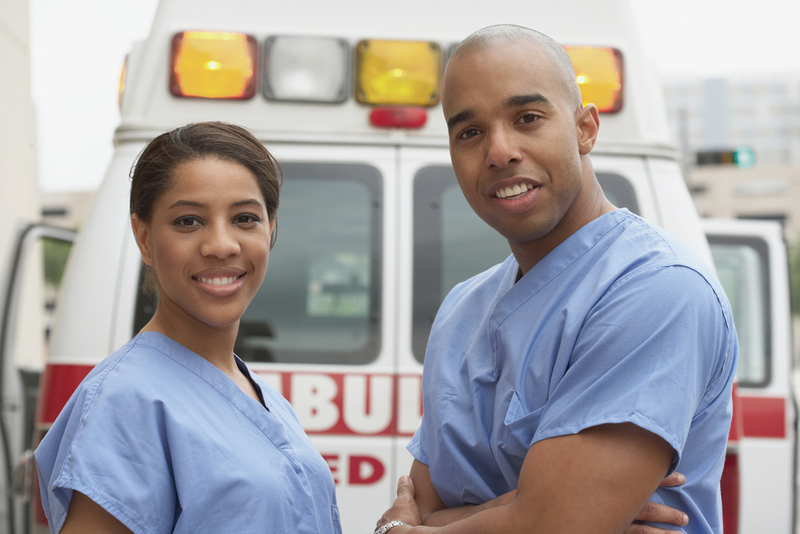 As an EMT, you might have some non medical duties you are expected to perform. For example, you might be in charge of keeping the ambulance or other emergency vehicles clean. It might be your job to order new supplies when they run low or even to pick up these supplies. Depending on your level, you may supervise other EMTS. You may be responsible for training new or entry level EMTs or even assisting with other training seminars for other EMS services. You should be prepared to respond to just about any type of emergency you can think of. There might be one patient or victim or there may be many. You may be working on someone inside their home or place of employment. On the other hand, you may be helping patients outside and in the elements. You might be helping people who are trapped in cars until they can be removed. Some patients will be conscious and others will not. You will have patients of all ages. You might be called upon to help a child or even a baby in trouble. You may help someone who is a young adult, middle aged or elderly. Some people will be calm and others will be very frightened. Whenever you begin working for a new employer as an EMT, make sure you are clear on your exact duties. Sometimes the duties and scope of practice might vary from one employer to another even in the same basic area. Ask to read over your job description so you know what you can and cannot do when caring for patients in the field. Whenever you have any doubts, you should ask questions for clarification. Knowing your job description well will help to ensure you don’t carry out duties that are not part of your scope of duties. It will also help you to make sure you do not neglect tasks that you are expected to complete.